Tshisekedi calls for unity after divisive election - SABC News - Breaking news, special reports, world, business, sport coverage of all South African current events. Africa's news leader. Opposition leader Felix Tshisekedi called for national reconciliation on Thursday as he became the Democratic Republic of Congo’s president, succeeding Joseph Kabila in Congo’s first transfer of power via an election in 59 years of independence. 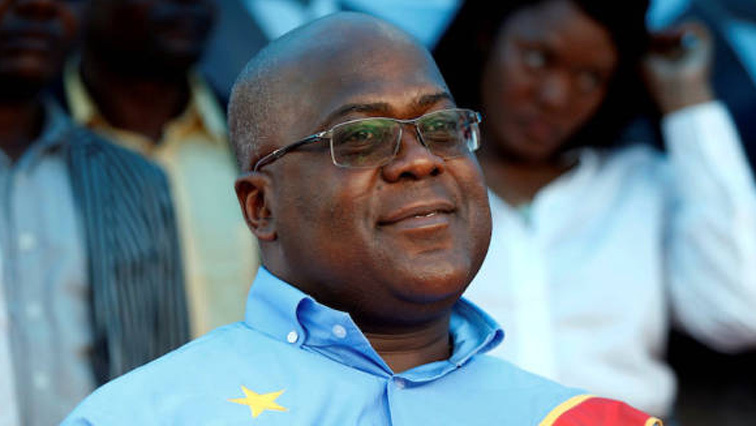 Tshisekedi’s victory in the December 30 election was marred by accusations he struck a backroom deal with the outgoing president to deny victory to another opposition candidate. The Kabila and Tshisekedi’s camps reject those allegations. Fayulu said he won the election by a landslide, a claim backed by tallies from Congo’s Catholic Church, which deployed 40 000 observers to the polls. This entry was posted on 25 Jan 2019,05:49AM at 5:49 AM and is filed under Africa, Homepage Latest Stories Slider. You can follow any responses to this entry through the RSS 2.0 feed. Both comments and pings are currently closed.